You won a large judgment in state court against an individual who committed fraud. Before you can even attempt collection of your judgment the defendant files for bankruptcy. Now what do you do? Our New Jersey bankruptcy lawyers represent creditors in prosecuting fraud claims in the United States Bankruptcy Court for the District of New Jersey. It is not uncommon for individuals to file bankruptcy in an attempt to discharge a substantial debt procured through some act of fraud. The Bankruptcy Code and Bankruptcy Rules provide a very limited time period for creditors to object to the discharge of their debts under the specific exceptions to discharge set forth in Bankruptcy Code Section 523. Experienced bankruptcy counsel is required to preserve your rights by filing the appropriate adversary complaint objecting to the discharge of your fraud judgment or claim. If the objection is successful, your claim will pass through the bankruptcy unaffected and you can pursue enforcement of the judgment against the debtor’s assets. What types of fraud claims can be challenged in the Bankruptcy Court? Are you creditor requiring assistance in prosecuting a claim challenging the discharge of a judgment or debt predicated on fraud by the bankrupt debtor? 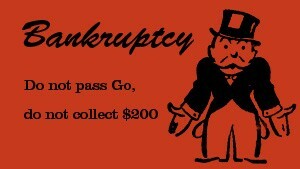 Our experienced bankruptcy litigation attorneys can help. Contact our law firm today to discuss your case. For urgent matters, please call (201) 498-0400.